A modern Scottish restaurant / cafe located in the heart of Glasgow serving breakfast, lunch, afternoon tea and dinner. Cranachan Cafe offers a relaxed eating experience at any time of day, serving authentic Scottish cuisine for breakfast, lunch and dinner using the finest locally sourced produce to share with all its customers. You can find us on the 2nd floor in Princes Square, Buchanan Street, Glasgow. We take bookings although you're more than welcome to pop by and ask for a table. Conveniently located in the heart of one of Glasgow's most prestigious shopping locations, Cranachan is a perfect location for breakfast, lunch and dinner! 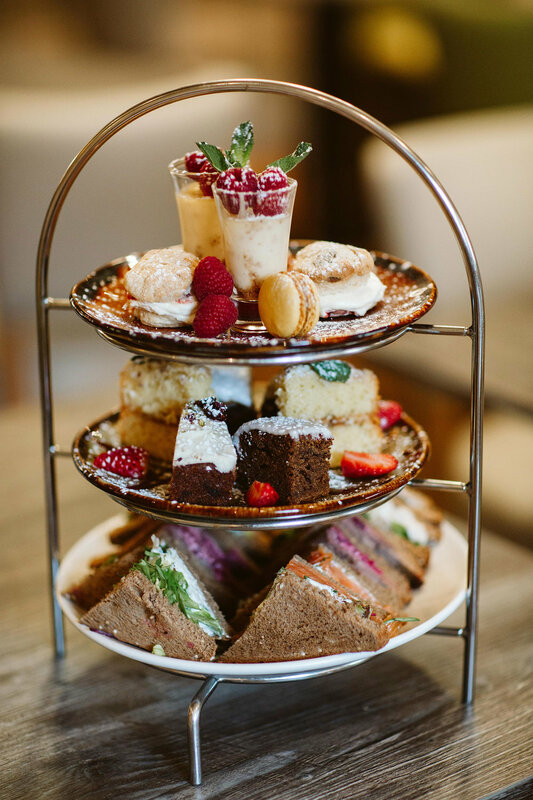 At Cranachan, we know our Afternoon Tea and Prosecco does great things. It brings people together and provides a great backdrop to chat, catch up and enjoy some fab bites with a glass of everyone's favourite bubbly! Choose to enjoy your meeting or catch up with friends out on the vibrant, buzz terrace on the 2nd floor of Princes Square, or head inside and feel the warmth of our lively Scottish interior. Coffee on the way to work? Mid-day lunch? Afternoon tea or a late bite before the train home or end of the shopping run? There's a fantastic menu with Scottish fayre and the favourites with a little extra something.